How To Get Away With Murder - Midseason Premiere Review + POLL: "Remarkably Good"
After an eight week break, How To Get Away With Murder is back. As I alluded to in my advance preview of tonight's midseason premiere, I hadn't given the series any thought over the hiatus. Expanding on that, I wasn't looking forward to the back half of this season with any great deal of enthusiasm either, but that has changed somewhat thanks to a remarkably good returning hour which gives the viewer something else to look forward to, beyond what was a dreary and poorly executed flash forward storyline that led to Miller's death at the hands of Nate in last year's winter finale. "He Betrayed Us Both" was written by Daniel Robinson and beautifully directed by John Terlesky. Let's jump right in and focus on the triangle between Annalise, Sam and Gabriel that was recounted in the flashbacks. Miller's death aside, this episode really worked hard to give Gabriel a place among the rest of the characters. The only way to achieve that to good effect was to tell the story of how he related to them. In this case, it turns out Sam was Gabriel's father, having conceived him with his mother, Vivian, and kept his existence hidden from Annalise. This is about as clean and simple as it gets, so it was really good to see that the flashbacks explored Sam's emotions in much more detail than simply announcing the fact that he had fathered Gabriel. Most of this happened around the time Annalise survived a car crash which killed her unborn child, so while Annalise was struggling through that, Sam's mind was elsewhere on Gabriel and his mother, Vivian Maddox. 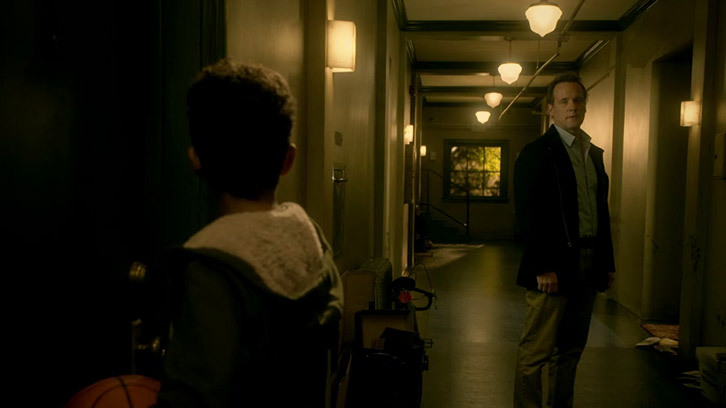 The moment where Sam knocked on their door only for Gabriel's grandmother to turn him away, then for Gabriel himself to return with his basketball and briefly talk to Sam was a heartwarming moment and probably my favorite moment in the episode. We also saw the struggles Annalise was going through from the loss of her child through a different lens which was highly refreshing to watch. Because of the nature of the series, most stories are told through Annalise's eyes, and Annalise's loud, reckless and frustrating behavior does get tiring. Seeing that Sam thinks the same as me as a viewer wasn't what I expected, but I absolutely felt vindicated given what he went through and how he experienced Annalise back then. Bonnie and Frank both had a lot to do with Sam and Annalise back then, as well as each other. We saw how their more intimate relationship first began, which paralleled well with present day events that I'll address shortly. In addition to that, it was Frank who put a stop to Sam taking his quest to begin a relationship with his son to the next level. Sam also hit on Bonnie somewhat, which fortunately didn't proceed any further at that time. Perhaps the most intriguing and conflicting element of this hour was what the creative team were trying to make the viewer think about Sam. 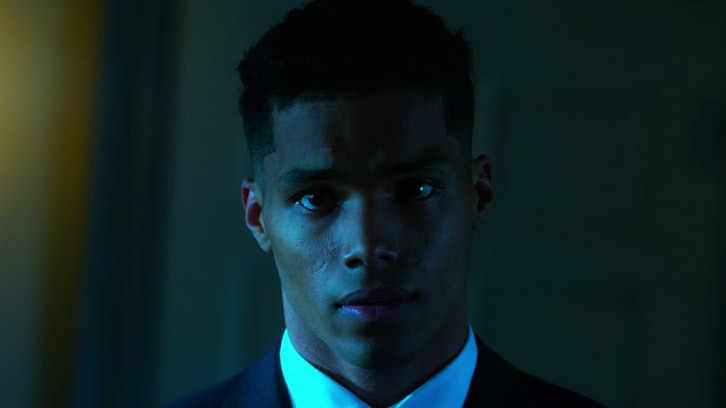 Much of his checkered past with Lila Stangard in particular was explored in HTGAWM's debut season. In no way, shape or form did I think he was squeaky clean back then or now, but I was left with the impression that Sam was stuck in a bubble filled with loss and a self-centered wife whom he grew apart from. 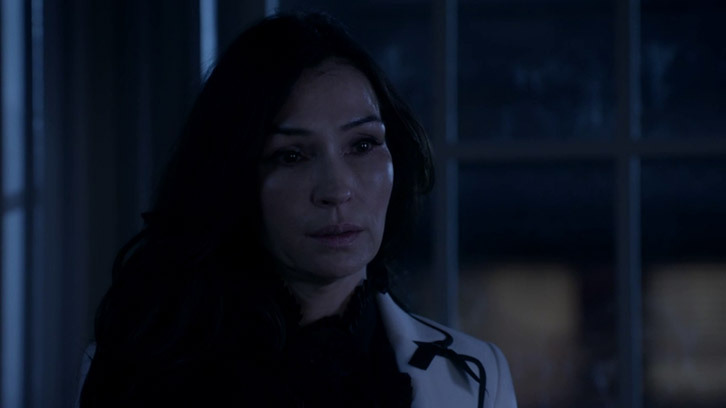 The hour's final moments played out under the narration of a letter Sam wrote to Vivian concerning Gabriel, and with the unexpected return of Eve Rothlow, played by Famke Janssen, who, in her momentary dialog with Annalise, tried to close that chapter of her life permanently, and attempting to use the letter Sam wrote as proof that he didn't deserve Annalise. Eve's reintroduction lasted a mere 20 seconds, however she appeared in both the flashbacks and present day. In the flashback she knocks on Frank's door and shows him the letter Sam wrote to Vivian, and by association we learn that it was Eve who nudged Frank into telling Sam to stop thinking about Gabriel. A decade later in present day she shows Annalise the same letter. Her motive for reappearing is now in question, especially given her appearance a decade earlier tends to look like either she was hired to look into Sam, or she is playing guardian angel for Annalise. This will be a space to watch. It was also confirmed that Frank was on the phone to Eve when he first noticed Gabriel at Middleton University and began his surveillance. A dead Gabriel would have at least stayed quiet. Let's address the rest of the present day stuff now. For starters, the cliffhanger left over from the winter finale concerning why Gabriel was in Annalise's house was explored in good detail. In a nutshell, however, Gabriel had come across his birth certificate which put him on a path to looking for Sam and by association Annalise. Gabriel already knew Sam was dead, but Annalise wasn't overly forthcoming with regard to the circumstances, other than to say Wes did it, the information on the case is public record, and that she also had no idea Gabriel existed until now. We are alone. We're all alone. Meanwhile, the other students - Connor, Oliver, Laurel, Michaela and Asher - were by now all aware that Gabriel wasn't who they had thought he was, with Michaela in particular taking exception to Laurel withholding what she knew through Frank. Given this was all occurring after the wedding, Gabriel wasn't answering his phone and they were worried he'd become a victim given Bonnie was seen with blood on her leg. What they didn't know was that Gabriel was alive and well, but was preoccupied with interrogating Annalise instead. The only other occurrence between the group worth mentioning is Michaela and Asher look to be getting closer again after Michaela motioned to sleep on the couch with Asher. I'm not sure what to make of that right now. Any remaining time was spent between Bonnie and Frank in present day, with Nate also appearing briefly. It started with Bonnie ordering a pizza so she had an alibi for what might be happening with Miller now being dead. Bonnie was forthcoming with Frank and told him what had happened. Nate later rang from Miller's phone as a way to help prove he was still alive at that time, and when he returned home with Frank later on after dumping the body and/or car somewhere, there was a realization between them that this was their secret to keep. Given no one else knows, and Nate, Bonnie and Frank are more adept at keeping secrets than any of the other characters, how this deadly tale plays out going forward will be fascinating to watch. Behind the camera, some wonderful directing by John Terlesky and outstanding music and scoring work gave this episode a unique look and feel. When bodies have dropped previously in this series, the intensity and adrenaline levels are normally elevated quite significantly, however this hour was notably different, with only three characters knowing there's a body to begin with. The additional blood stain in baby Christopher's jacket will ensure it isn't long before Bonnie is questioned, and how the DA's office reacts to Miller's disappearance will be interesting given Asher's exposure there alongside Bonnie. Despite being the main perpetrator, Nate is actually distanced the most from all this, one would think. That won't last, but that's how things initially appear. I think most viewers agree that the front half of this fifth season of HTGAWM has been well below par, but historically the back half has been different, and that's shaping up to be the case here. The Gabriel storyline will do well as a distraction to what was a mediocre wedding and Miller murder storyline during the front half, though the Miller murder will surely pick up and change direction. To be clear, while this episode is the best of the season so far, it on its own can't undo the damage from earlier. It's going to take one hell of a seven episode run to the end of the season to do that, and even then I'd be left wondering where this quality was earlier in the season. For now though, the main thing is that Gabriel has been placed and isn't so much of an unknown outlier, and Bonnie, Frank and Nate have kept Miller's death a secret for now. Eve's return is also intriguing, and she will surely factor again later in the season. That's a good place to end this review of the HTGAWM midseason premiere. As always I'd love to hear what you thought of it to make sure you head down to the comments below and make your voice heard. There's also the opinion poll directly below for you to rank the episode. Thanks as always for reading, and I'll see you right back here next week.